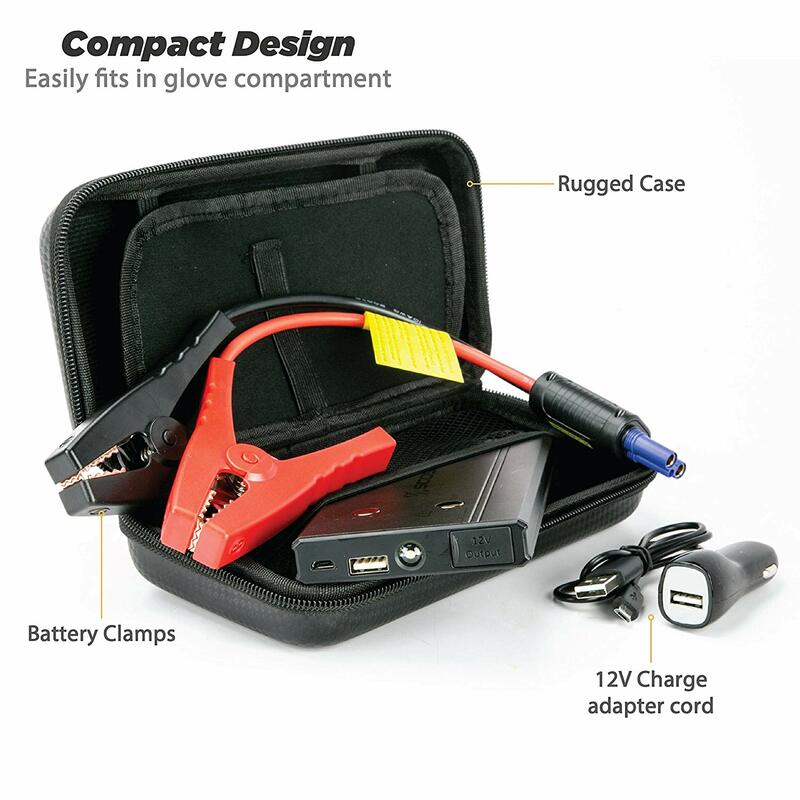 AMPLE STARTING POWER WITH BOOST BUTTON: With 300 AMPâ€™s of power you can jump start any vehicle battery with an engine with 4 or up to 6 cylinders & 3.5 liters in the case of an emergency. 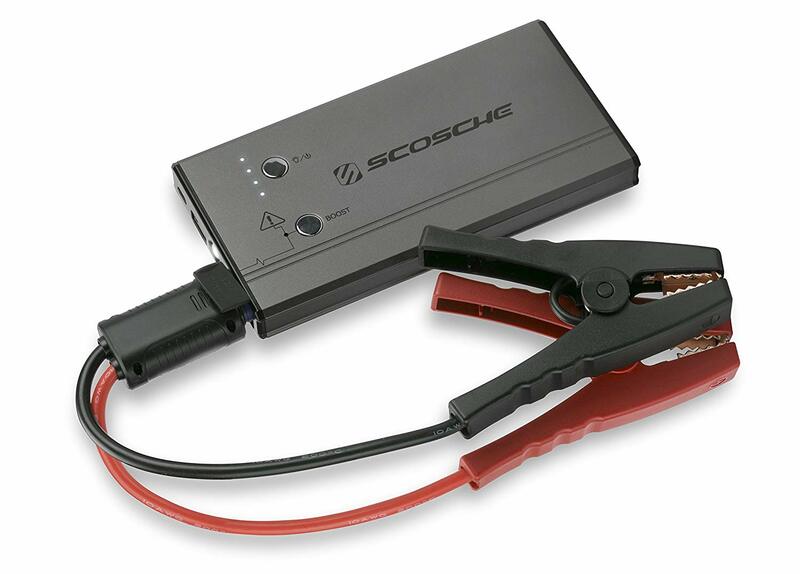 Use the boost button when you need to jump start a low voltage or fully discharged battery. 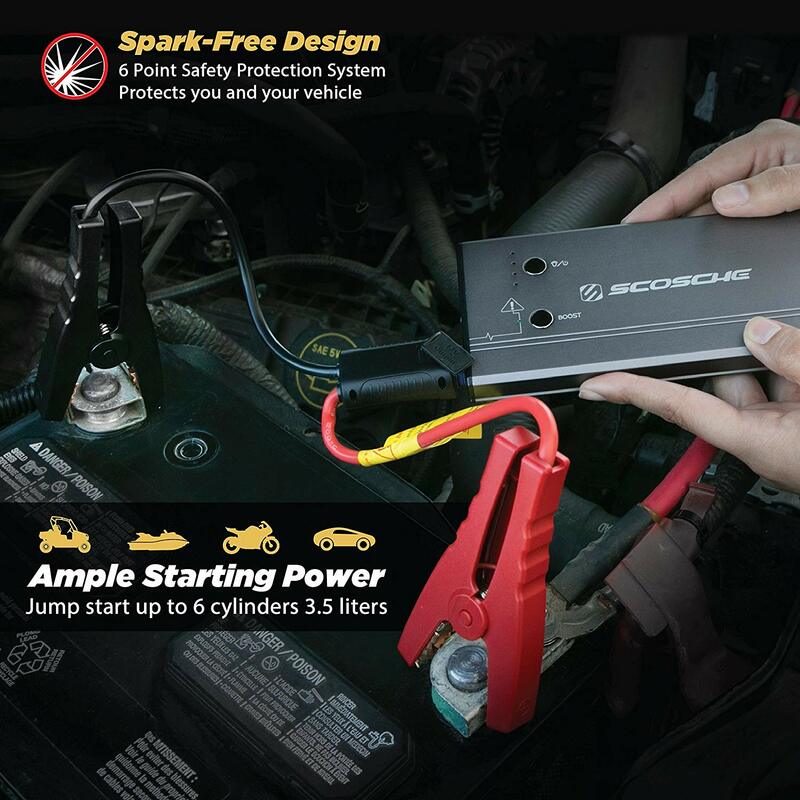 SPARK FREE DESIGN: The spark-free safety system protects the jumper starter, you and your vehicle. BATTERY LEVEL INDICTOR: 4 separate lights indicate the amount of juice in the portable battery. USB PORT: 5-Volt (2AMP) USB port charges smartphones, tablets, cameras, GPS or any other device with a USB port from the portable battery. 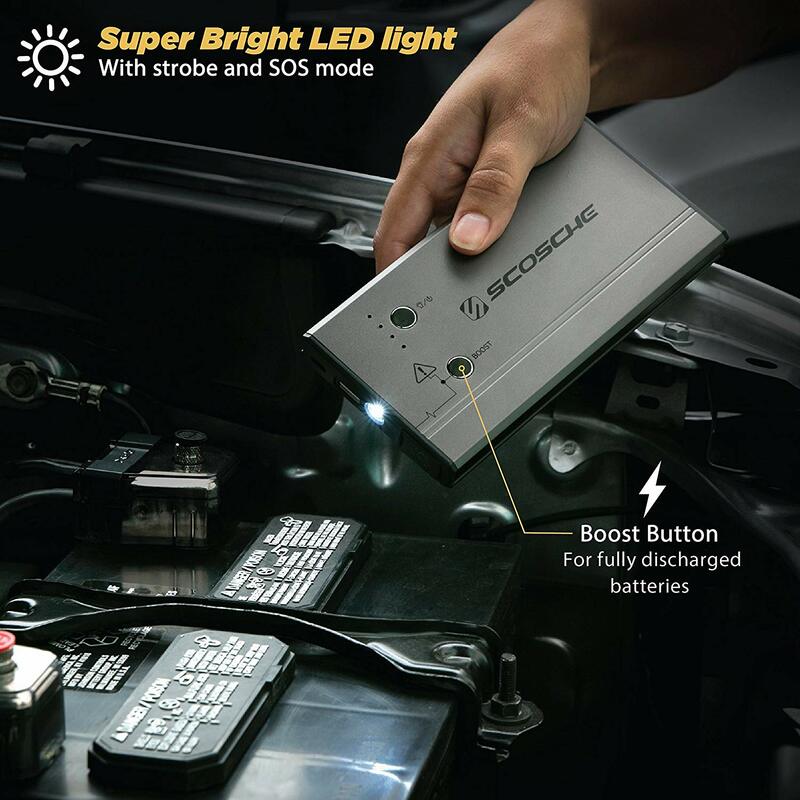 BUILT-IN LED FLASHLIGHT: Super bright LED Flashlight helps you see your battery better in low light and the SOS mode can be used to flag down a passing car in case of emergency. 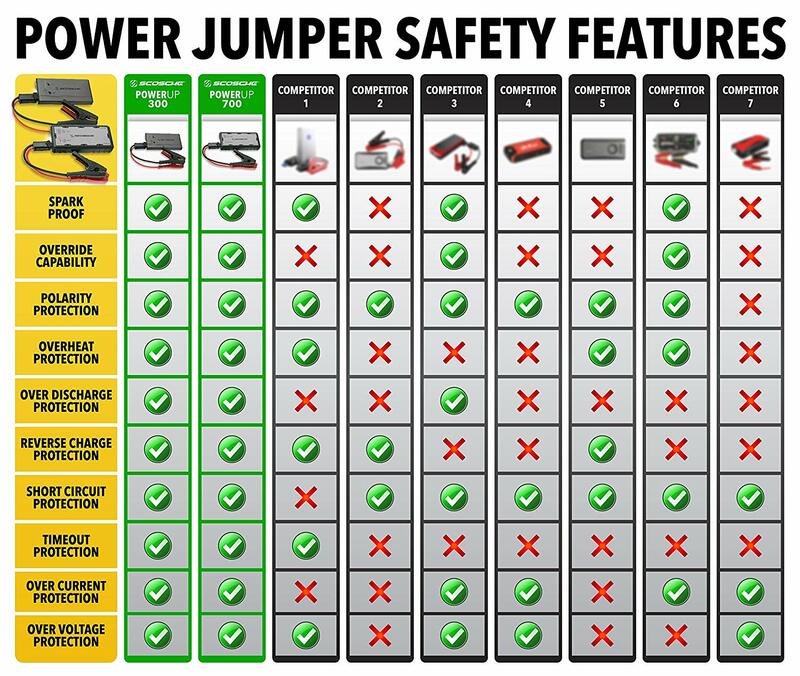 TEN BUILT-IN PROTECTIONS: Our jump starter comes equipped with 10 safety protections such as such as polarity, overheating, overcharge, over voltage, short circuit and many more.